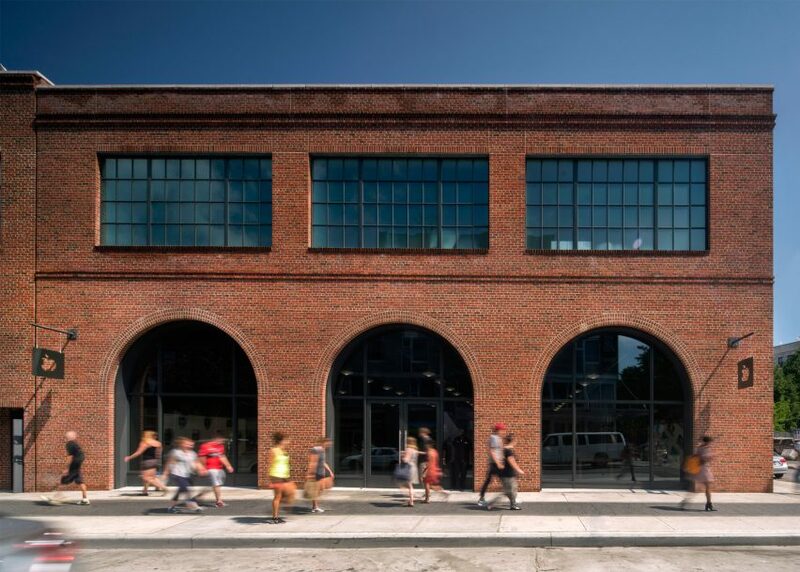 US firm Bohlin Cywinski Jackson has looked to Williamsburg's industrial past to inform its interior for the first Apple Store in Brooklyn. Located in a red-brick building on the corner of North 3rd Street and Bedford Avenue, the 13,700-square-foot (1,270-square-metre) retail space opened in July 2016. Bohlin Cywinski Jackson used the existing structure's arched openings to create large windows that allow plenty of daylight into the space. The brick is left exposed on the inside, paired with polished concrete flooring and chunky wooden display tables. Steel beams and mechanical service pipes are visible across the ceiling, from which hang industrial-looking pendant lights made by a local fabricator. A giant video screen on the back wall is accompanied by a set of movable cube seats for product demos, entertainment and lounging. 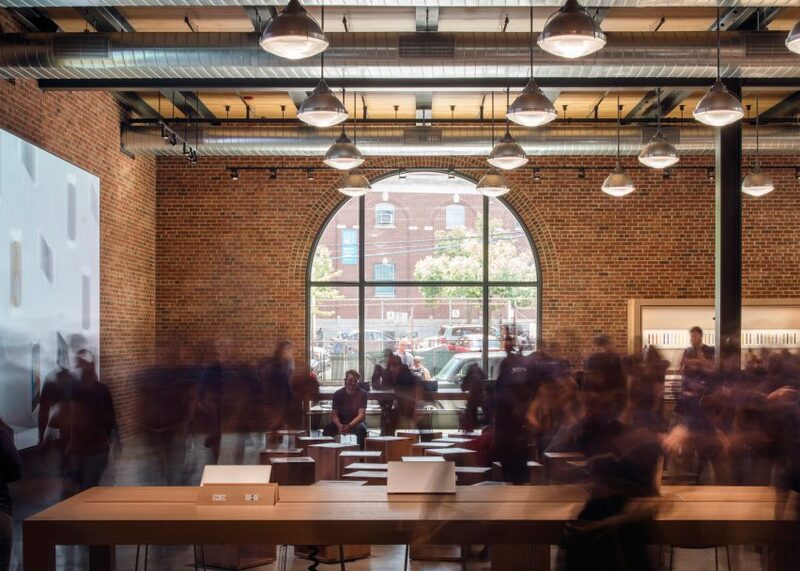 "This store has a distinct look and feel compared to Apple's other New York locations, including a new retail program meant to draw in the street's public life and serve as a community gathering space," said the firm. 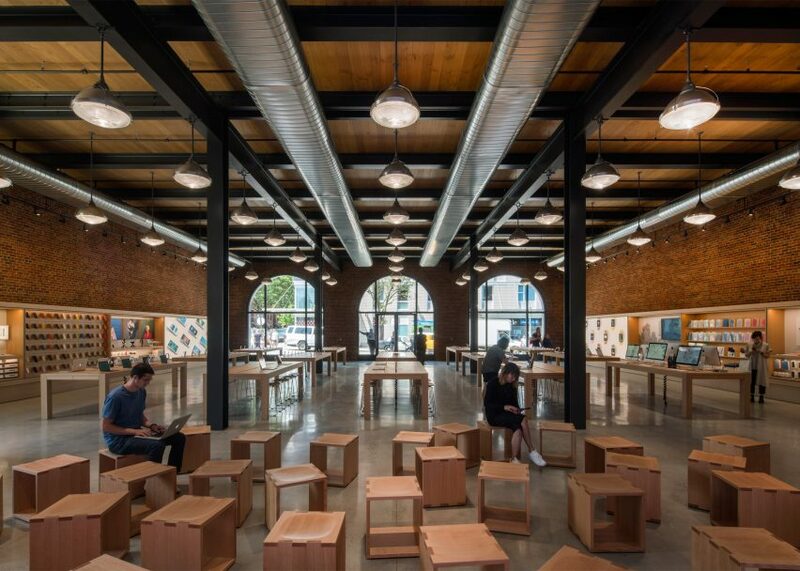 This approach follows a shift in Apple's retail design that debuted at its store on San Francisco's Union Square, completed by Foster + Partners in May 2016. Bohlin Cywinski Jackson has worked on projects that range from a guest house in California to a visitor centre in the Rocky Mountains. 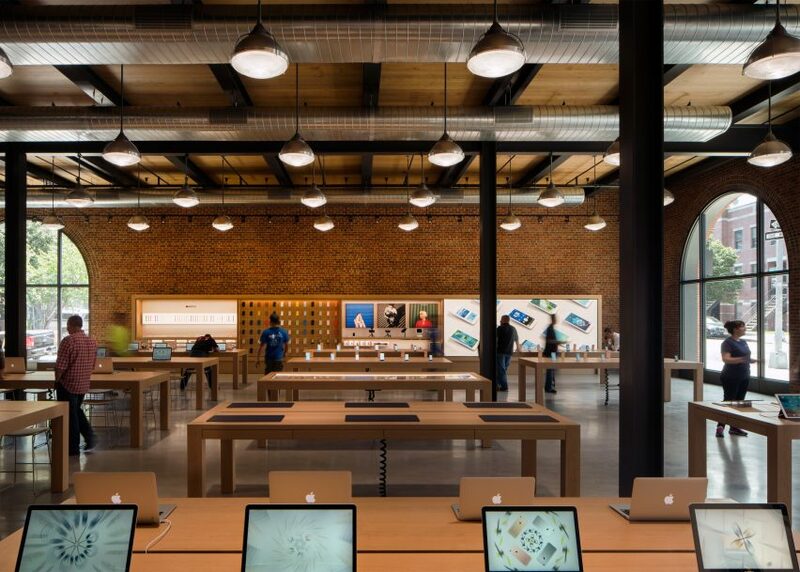 The firm has also designed six Apple Stores across New York City over the past 15 years. Most recently completed was the tech brand's World Trade Center outpost inside the Santiago Calatrava-designed transit hub, while other locations include SoHo and Fifth Avenue. At its annual Keynote event earlier this month, Apple unveiled the eagerly anticipated iPhone 7 and 7 Plus, wireless earphones and an updated version of the Apple Watch. The new products did not go down well with Dezeen readers, who took to our comments section to air their views about the launches.